This was the first time a client specifically asked that I use a character from one of my graphic stories: In this case, the freight hopper (i.e. :Me, at the age of twenty-four) in the SPIRIT trilogy. After getting to know his music, I quickly became a fan, and the rest of the project went well enough to establish the makings of a friendship between us. 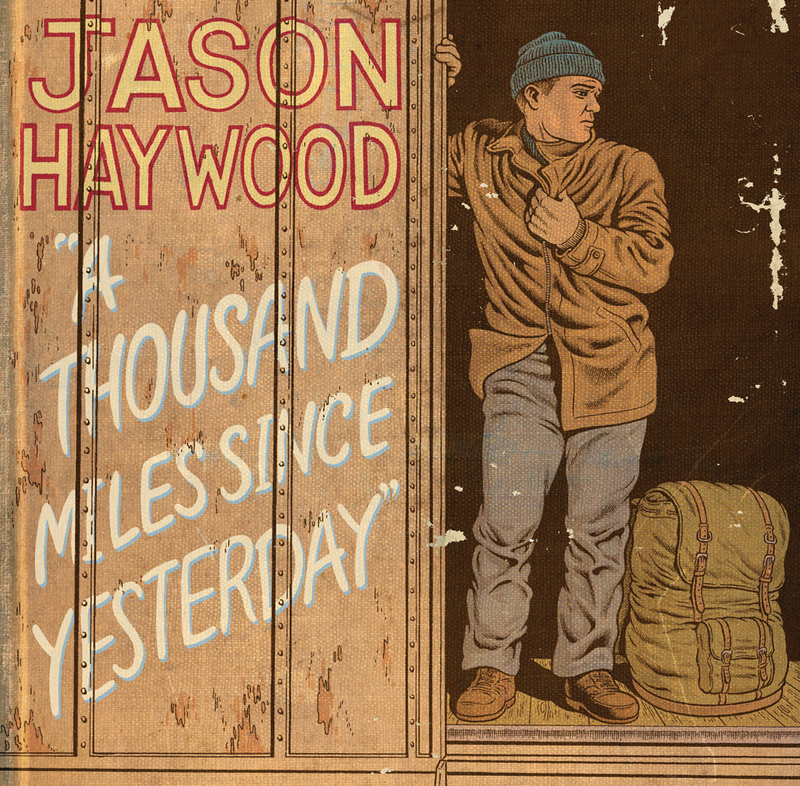 I highly encourage you to check out Jason's new album, "A Thousand Miles Since Yesterday". It's very solid.